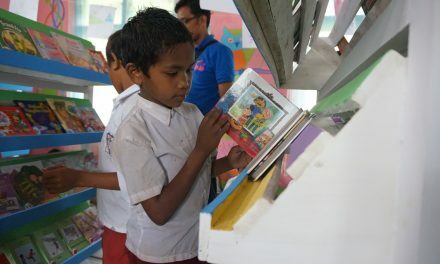 When in Sentani, I had thought to establish libraries in Sorong District. 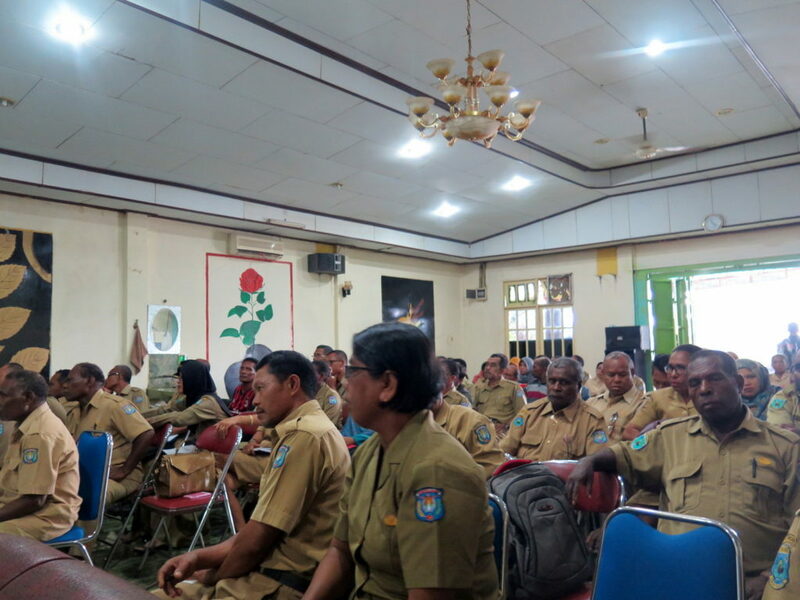 The problem is, I barely knew no one in Sorong District. I told Bapak James Modouw this plan. What happened next is beyond my expectation. 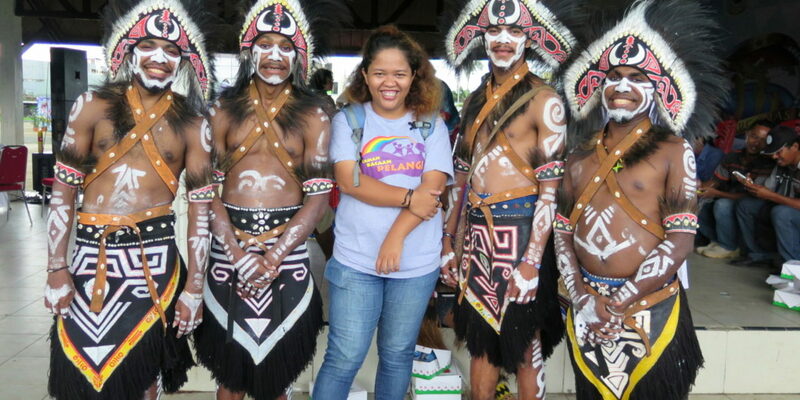 He told me about an event attended by some of the education office heads in Papua, including the head of Sorong Education Office in Sentani. Such a coincidence, eh? The day has finally come. 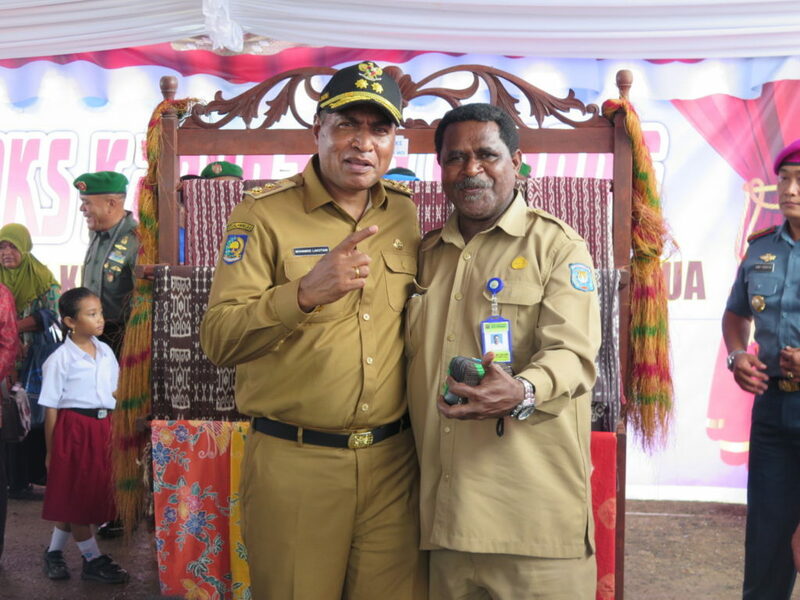 Pak James introduced me to Bapak Kefas, Head of Education Office at Sorong, West Papua. After describing the plan of Rainbow Reading Gardens, he was so enthusiastic and said that he supported this program. He also gave some recommendations for the school selection process. Wahh.. I am beyond happy. The universe answered my agitation by introducing me to this man. What a day! I made an appointment with him in Sorong and together we would start the new adventure. On May 31, I arrived at Sorong and contacted Bapak Kefas to meet him at his office. However, I have not received a reply after a few days. I decided to see him at the office, and unfortunately he was not there. The staff said that he attended an event at the town plaza. I rushed to the town plaza in a split second. It was full of people. Haha.. 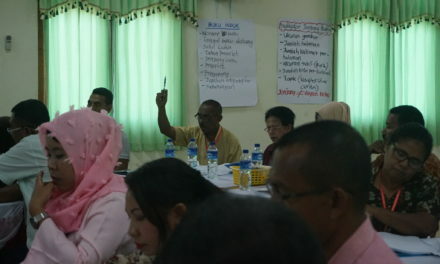 In that event, there was a meeting of all primary school principals in Sorong District at Handayani Hotel, not far from the town plaza. He took me there for program orientation. What a coincidence! At Handayani Hotel, Bapak Kefas gave me the opportunity to speak before all the participants, primary school principals. He also left a message to these principals to welcome me when I visit their school for further discussion. Woww… This meeting makes my initial steps for school selection easier. I was excited!! That day was a very good and lucky day for me. Some principals approached me and asked me to come to their schools. They enthusiastically embraced Rainbow Reading Gardens programs. Amazing! “I thought you were a foreigner from somewhere. 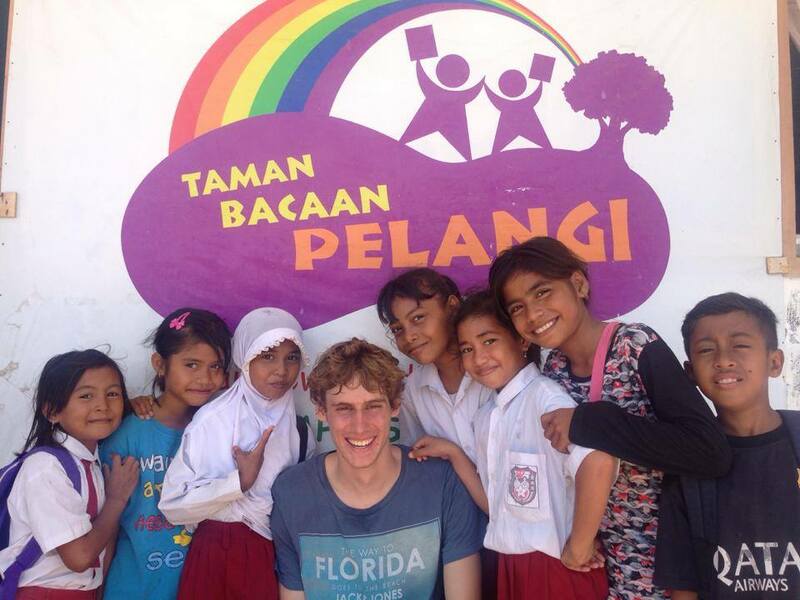 I think I saw you once on Lensa Papua.” That was a comment said by one principal which made me laugh and ensured me that there would be three new Rainbow Reading Gardens library in Sorong District, West Papua. It was such a good day!